Sintavia is an independent manufacturer that provides metal additive manufacturing services for critical industries such as aerospace and defence and oil and gas. With a focus on the serial production of metal parts using additive manufacturing, the company provides a unique, end-to-end service that comprises not only production and post-processing, but also testing, metallurgy and powder characterisation in its in-house laboratory. Recently, Sintavia announced its plans for expansion, moving into a brand new 55,000 square foot facility that has a distinct emphasis on production. 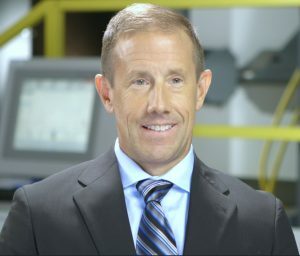 This week, we’re pleased to be in conversation with Sintavia’s President, Doug Hedges, to discuss how the company produces high-quality, certified metal parts, why AM is perfect for the aerospace industry and what the AM industry can do to accelerate the adoption of the technology. Could you tell us a bit about Sintavia? Sintavia was founded in 2012 by Brian Neff who is the company’s CEO and Chairman. The company was founded as an in-house additive manufacturing effort with a company called CTS Engines, which is an independent jet engine MRO based in Fort Lauderdale, Florida. Sintavia became a separate company in 2015 and we relocated to Davie, Florida, where we still are today. As a company, we have an extensive background in aviation. We saw there was an opportunity to use this background to create a company that is vertically integrated with a lot of different offerings. To be good at additive you also need to be good in metrology, metallurgy, machining, heat treatments, testing and so on. So while our core skill is additive manufacturing, we’re using our experience in the MRO and OEM manufacturing fields to create a new, standalone company that is focused on aerospace and defence, as well as oil and gas. What’s unique about Sintavia is that vertical integration underpins everything we do: from post-processing, quality, metallurgy, scanning et cetera. All of these elements are located under one roof within our production facility here in Davie, Florida. Aerospace is a central focus for Sintavia. Could you take us through some benefits of additive manufacturing for the aerospace industry? Additive manufacturing works well for aerospace for a variety of reasons. First, it’s important to note that the technology started as a prototype development tool for OEMs within the aerospace and defence industry to rapidly iterate on designs and test the engines. It’s now evolved to a point where companies are building engines with additive parts. So that’s still a big driver. But then there are all the other typical benefits that make AM a great technology. Here, I’m referring to the consolidation of weldments, complex castings, lightweighting, toolless design. Of course, complexity isn’t free — but it’s greatly expanded upon using additive. As an example, a primary focus for us in terms of part selection is external valve bodies on the outside of jet engines and ducting. We also see an emerging market for chassis and heat exchangers within the aerospace industry. One of the metal 3D printing technologies you use is Powder Bed Fusion. What are the benefits of this technology for aerospace applications? Well, metal 3D printing in general really lends itself to unique designs. The early stage of what we’re doing is using powder bed fusion with lasers and electron beams to build high-pressure ducts and components layer by layer. There’s obviously the benefit of using the technology as a replacement tool for weldments and castings already used within the industry. But the power of additive goes well beyond that: you’re able to make parts that are better, lighter and stronger — essentially facilitating improved performance. Ultimately, to truly utilise the power of AM, the components need to be designed for additive manufacturing. You can use additive manufacturing — primarily I’m talking about lasers here — for components like heat exchangers and chassis to make geometries that were previously impossible to manufacture. You also have, for example, flow bodies or valve assemblies that you can make faster and consolidate using AM. This enables our customers to not only optimise their existing supply chains but also to make better products and play to the strengths of the OEM aerospace and defence market. Take heat exchangers as an example: additive manufacturing allows you to make very fine walls and small, intricate geometries inside the component. So you can have a wall of 200 microns or less. Additionally, with additive manufacturing, you now have a better way to conduct the heat out of the component. This is great because the end game aim with heat exchangers is to get the heat out of the component so you can pack more electronics into it. We use metal additive manufacturing to improve their products. Anything from valve bodies, external jet engine components, ducts and heat exchangers to chassis and different types of tubing structures that were made by weldments with a lot of complex jigs and fixtures to weld them together. That said, we do a lot more than that as well. For example, we work on what’s inside turbomachinery equipment, anything from a smaller impeller that could be inside a compressor, to a larger impeller that could be inside a rocket. We have a focus within commercial aerospace — jet engines essentially — and another focus on propulsion, which would be rocketry parts. We then have the “in-between” within the aerospace and defence industry, by which I’m referring to the obscure components that were once made from 10 to 100 pieces, but we can now make in one singular piece using additive manufacturing. Could you expand on some of the design challenges associated with those applications? AM is a relatively new process in manufacturing. We’re using lasers or electron beams to melt the powder in a layerwise fashion. Essentially what we’re really doing is making small to medium-size weldments, or “micro-welding”. In this micro welding process, there’s rapid cooling where the laser exposes the metal powder. You have a case of two extremes: a very hot printing process, with rapid cooling taking place alongside. Because of these extreme differences in temperature, your part is subject to distortion. So these parts are not like traditional weldments made with cast parts; they’re unique items in and of themselves. One of the key challenges is being able to predict how these parts will move within the additive manufacturing process. A key part of this challenge is using this very modern technology and high-tech tools to do the prediction at the beginning, to help with the entire coordination of the process. At Sintavia, we’re using Finite Element Analysis (FEA) at the beginning of the design cycle. Sintavia engineers get the initial data from our customers in the form of CAD models, drawings and specifications. Our engineers work with our customers to work out key parameters like how to orientate a part on the build plate, at which angle a part will be created and how supports will be used, either to hold the part down or take the heat out of the part. We’re using math to predict how the part is going to distort and minimise that distortion to make a very high fidelity part. We need to know how that part is going to move and shift around on us, so we can add stock to flanges, bores, holes, etc, to make sure that there’s enough stock to clean up at the end of the process. Using this approach, we can also account for the post-processing of that part at a later time. One thing to keep in mind is that additive manufacturing is a tremendously powerful process to create complex parts, but it has to be used in coordination with traditional processes. The coordination of the additive process with the subtractive process is critical. We hear a lot about the challenges involved in post-processing metal parts, and that’s one of the services Sintavia offers. Could you take us through some of the biggest challenges with post-processing and your approach? Post-processing needs to be a coordinated effort between the printing process itself and the post-processing that goes along with that part after production. A common challenge that most people don’t see is powder removal after the process. After the printing process, all of the powder has to be removed from the part. Since some of these parts have very complex geometries, we make custom machines – either ultrasonics or traditional vibration systems – to remove the powder. It’s typical to remove the powder from the part before the next step, which is almost always stress relief. We’re stress relieving in-house either with a vacuum furnace or a box furnace to remove the residual stress from the additive build process. From there, you go to a wire EDM or a bandsaw to remove the part from the plate. Then, of course, you need to remove the supports. These supports can be anything from simple lattice supports to something very solid used to hold the part and produce very large and nickel superalloy parts. These are subject to a lot of thermal stress. Because of this, you may need a very robust machine process to remove the supports from these parts. There can be considerable work involved in that. And when I say ‘machine process’, this could mean a lot of different things. It could mean something as easy as just breaking them off with pliers to a very rigid five-axis machine tool to remove those supports from the part. From this point, you have several choices. For example, you can go to HIP, which we feature on site, or we use machining. In this case, when I say machining, I mean machining to print. So this is really no different than what you would see in a machine shop. For the most part, we have a 2D drawing with lots of controls and we machine that part to bring it in line with the specifications. Moving to the metal powders themselves, what’s the process of developing metal powders at Sintavia? To be clear, we don’t really develop powders per se. But we have been involved in helping companies develop alloys that weren’t commercially available in the past. We have companies that we work with that have, say, a variant of a tool steel or a variant of stainless steel. These are typically specialty alloys that they’ve developed to be used for some kind of performance advantage in the future. What we do have is flight-approved powder solutions for the aerospace industry. We procure the powder, bring that into our lab and run that through a multitude of tests before the build starts. One of our strengths at Sintavia is that we have full onsite characterisation of our powder within our lab. This allows us to sample and understand what’s happening to the powder. Typically, other companies outsource this process. So while we may procure materials from our powder supplier, we do the flow testing, morphology, particle size distribution, gas analysis, ICP for chemistry et cetera. We run about eight or nine tests to ensure that the powders meet our customers’ manufacturing requirements. Then, as the powder is used, we sample and archive these powder samples to understand what happens to the powder as the build continues. This means we’re able to understand exactly what happens to the powder as it gets used progressively. Sintavia has announced it plans to open a brand new facility with an increase in machines this month. Could you share the vision behind this new facility? We’re very excited to be opening our new facility this month. The new facility will be 55,000 square feet and we’re going to base that facility on our past success. A key point is that it’ll be significantly based around production. We’re going to house over $30 million worth of new machinery, larger modern AM equipment, powder handling systems, backup generators, power supplies, inert gas. We envision that we’ll be adding up to more than 135 new jobs for Sintavia and South Florida. The new facility is really the vision of taking what we’ve done at a smaller scale, running 12 machines here in our current facility, and scaling that up into a 55,000 square foot facility with up to 65 machines. There’ll be a large effort in additive manufacturing, in heat treatments. post-processing, finishing, cleaning, et cetera. Essentially, we’re looking to control the additive process within one single facility. That’s really the business model: we want to scale up what we’ve done and bring this into a manufacturing process that has guaranteed quality and repeatability for our OEM customers. Would you consider expanding to other industries in the future, like automotive or medical, where there is also a great demand for 3D-printed metal parts? Yes, absolutely. We do have some things going on in both automotive and medical. And there are other industries for which additive also makes sense. For example, we are involved in industrial gas turbines. Although our background is aero gas turbines, ground-based gas turbines for energy are basically scaled up and slightly different aero turbine engines. The technology also applies very well to the biomedical sector. Sintavia is AS9100-accredited — AS9100 is a quality management system for the aerospace industry. 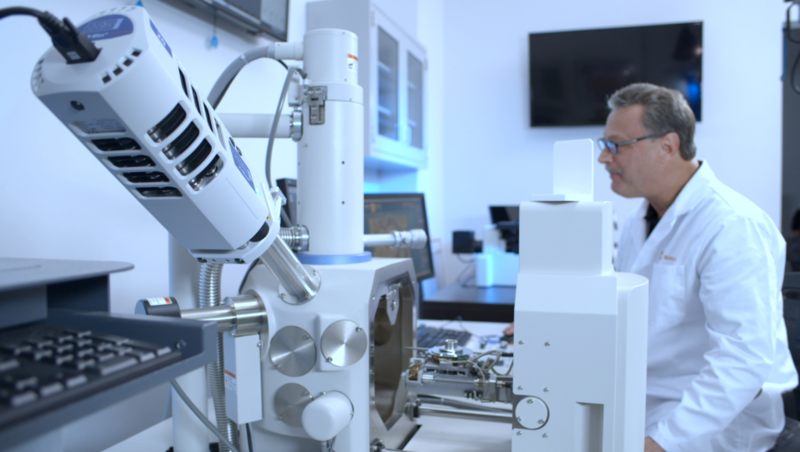 Our lab is ISO 17025 accredited for mechanical measurements, which can mean anything from powder characterisation and chemistry to tensile testing and fatigue testing. The biomedical industry has a different accrediting agency; most of that is down to ISO 13485. Once you have AS9100, you can move to ISO 13485. It’s not much of a leap to go between these different industries. After all: quality is quality and processes are processes. If you can do aerospace, you can make that transition to other markets. Also, beyond everything that I’ve mentioned, quality control is the most important aspect. 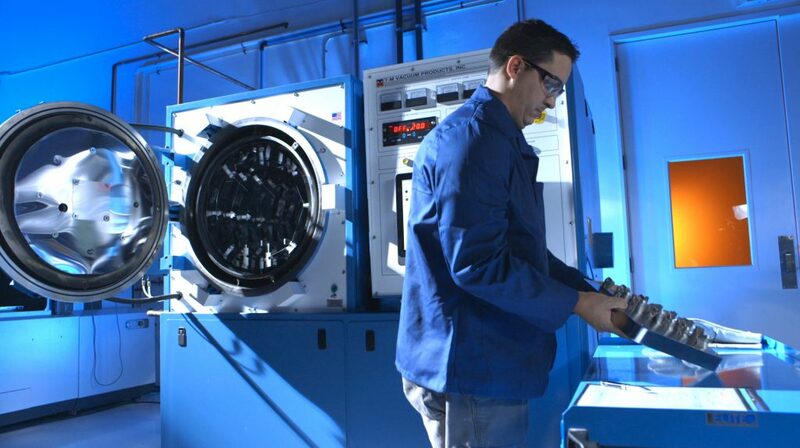 From day one, we’ve focused on developing our quality system with AS9100, ISO and Nadcap certifications. This is all very beneficial for our OEM customers and can definitely be a resource for other industries as well. In your opinion, what are some of the things needed to accelerate the adoption of metal 3D printing? For all of our technology and the prowess that we have in analytics, we should really be focusing on what drives business. Business is driven by money and speed. This means that the technology needs to become faster, cheaper and more established. That said, we’re seeing how things are changing. During our time here at Sintavia, we’ve seen how metal AM has evolved. For example, at one point in time, aluminium was a relatively tricky material to print in additive manufacturing, but now it’s almost commonplace. As we see additional lasers, as we see the expertise and designing parts for additive, it’s going to offer our customers faster speed and cost savings. All this came out of the prototyping industry historically, and we want to move that to serial production. There are certain things that we need to do to make it faster and cheaper, provide quality as well as deliver the advantages that everyone knows metal additive can offer. 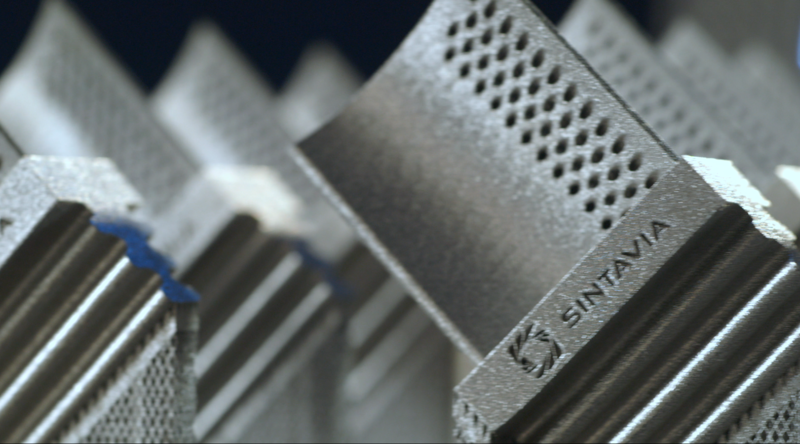 How do you see metal additive manufacturing evolving over the next five years, and how does Sintavia fit into that vision? What we really need to do is to start making parts in a production fashion. For critical industries, we need to ensure that we’re producing actual metal parts that are fully functional. We know that these parts compete extremely well with castings for mechanical properties. Given the right process and controls, they can also compete with raw products, and even forged products in some cases. Quality control, i.e. understanding the quality requirements and being able to validate your part is really going to make a difference going forward. But we also can’t lose sight of the fact that the technology is still relatively new. As an industry, we’re doing a lot of things for the very first time. This means the front end of the process needs to be learned in the first place. For example, at the beginning of the process, engineers will need to understand support strategies and spend time learning how best to optimise part geometry and the support geometry, which will in turn help to produce better parts and ensure the supports come off with relative ease. Thanks to this work put in at the start, you’ll have taken what was a costly and time-consuming step of support removal and made it significantly less expensive. The engineering effort to make the parts is really pivotal to getting it to a mature point to make products one after the other. What does the future look like for Sintavia? It looks very exciting! Of course, it also looks quite challenging as we move into our new facility. We will implement lean manufacturing. We have the first large-scale, lean additive manufacturing facility purposely developed for our alignment for OEMs and the supply chain. In 2019, we’ll be continuing a lot of the work we’ve been doing over the last couple of years, in terms of qualifying and developing parts for our customers. I won’t name names, but if you look at the prime aerospace companies globally, there’s a very high likelihood that we’re doing business for them. In some cases, like our relationship with Honeywell, where we’re the first AM supplier approved to make flight-ready parts for Honeywell Aerospace. We’ve aligned with Honeywell to use our current facility and our next facility to bring that out and make production parts for Honeywell. Honeywell is a relatively rapid adopter of the technology and they have lots and lots of applications. But if you go outside of Honeywell, there’s a good chance, whether it’s an airframer or engine power plant, whether it’s an aerospace and defence provider, that we’re doing work for them now. We look at 2019 and 2020 as being relatively big years for us, as far as the adoption of metal additive is concerned. It’s really exciting that Honeywell is here today, but we’re going to see that we’ll have more customers doing serial production in the coming years. 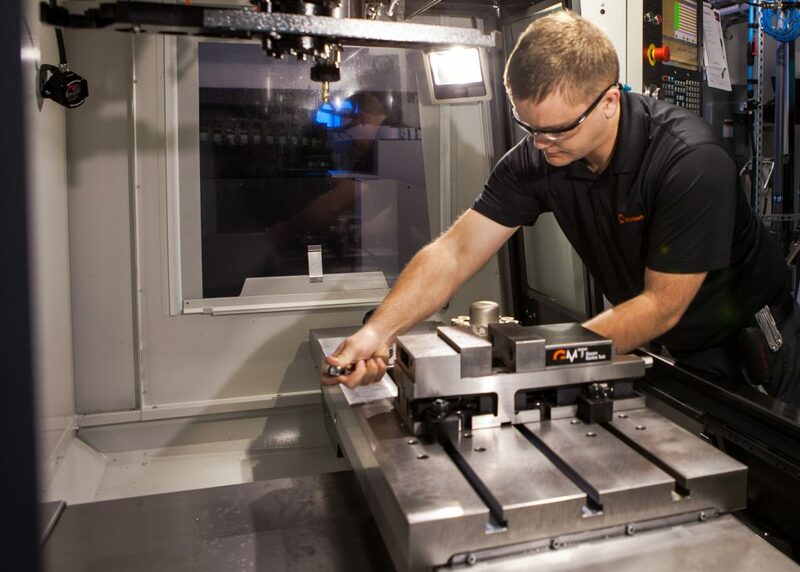 We’re aligning our company to provide that resource for the OEMs of the world so they can have a one-stop shop, vertically integrated partner for producing these parts with additive manufacturing. I’d like to reiterate that quality is our focus. Our customers are, without doubt, the most risk-averse customers in the world. In order for them to feel comfortable flying these critical components made by additive manufacturing, quality is paramount to this. At the end of the day, we want to conform products to engineering drawings and specifications, to use them in real-world applications. To do that, it takes a focus on conformance. Also, today AM is where all of the media attention is and where a lot of time and money is being spent. But ultimately, it should be about taking the part that you made by additive manufacturing and conforming that to the engineering requirements of your customers. So yes, we do like to talk about additive manufacturing. But I also like to think about it as advanced manufacturing. I’d like to move away from the additive manufacturing buzzwords to say we’re an advanced manufacturer of precision aerospace parts. We want to make advanced parts to ensure our customers can significantly improve their current designs. Doug Hedges has over 20 years’ experience in the aerospace industry, from OEM experimental component design to FAA-approved repairs, alterations and component development based on industry standard specifications and controls. Prior to Sintavia, he served as Senior Engineer at CTS Engines, developing repairs and processes for General Electric jet engine overhaul, Lead Project Engineer for HEICO Aerospace, Senior PMA Engineer for Kapco Global, and Design Engineer for Rolls-Royce. Doug has a BSME degree in Mechanical Engineering from the University of Minnesota.